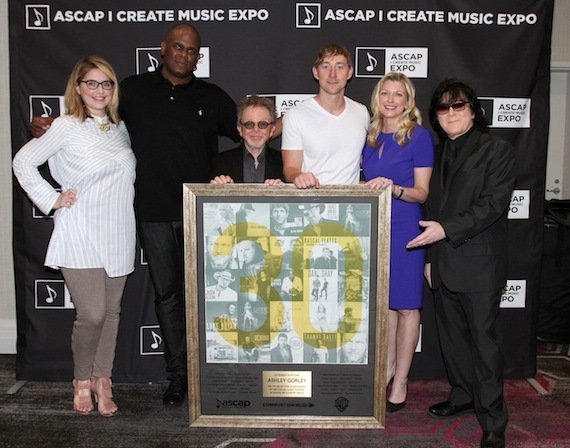 Writer Ashley Gorley was recognized during yesterday’s opening day (April 13) of ASCAP’s “I Create Music” Expo in L.A. with a special plaque acknowledging his milestone achievement of penning 30 No. 1 hits. Gorley performed as part of ASCAP’s Annual Membership Meeting, along with Michael McDonald, Tom Higgenson of the Plain White T’s, and Brett McLaughlin, and was then featured on the panel “You Should be Here: A Peek Into the Country Music Market.” Gorley’s co-panelists for the session were moderator Beth Brinker, Creative Manager/ASCAP Nashville, and songwriters Zach Crowell and Matt Jenkins. During the panel, ASCAP President Paul Williams and Warner/Chappell Music Chairman & CEO Jon Platt presented Gorley with the plaque recognizing his amazing slate of hits. Gorley was named ASCAP Country Songwriter of the Year in 2016, 2015, 2014 and 2009, as well as Billboard Country Songwriter of the Year in 2013 and 2016. 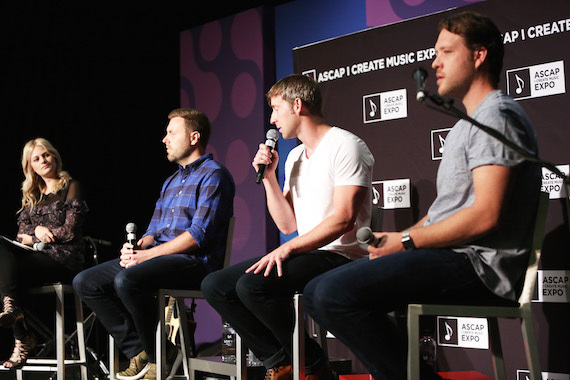 Gorley also appeared on ASCAP’s “We Create Music” panel, which brought together a group of creators to discuss what binds songwriters from all genres together. 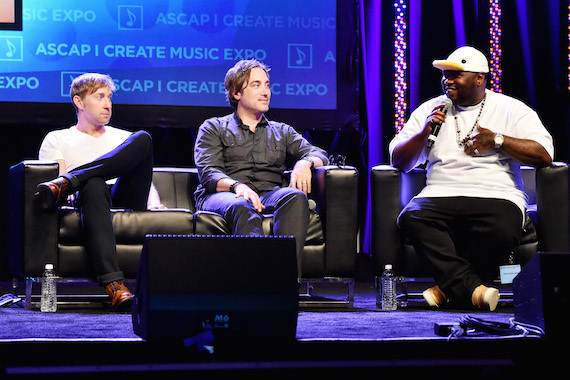 Also featured on that panel, which was moderated by Melinda Newman, were Jeff Cardoni, James Fauntleroy, Sam Hollander and Dave Pirner.